Marc Jacobs is known for his brash style. 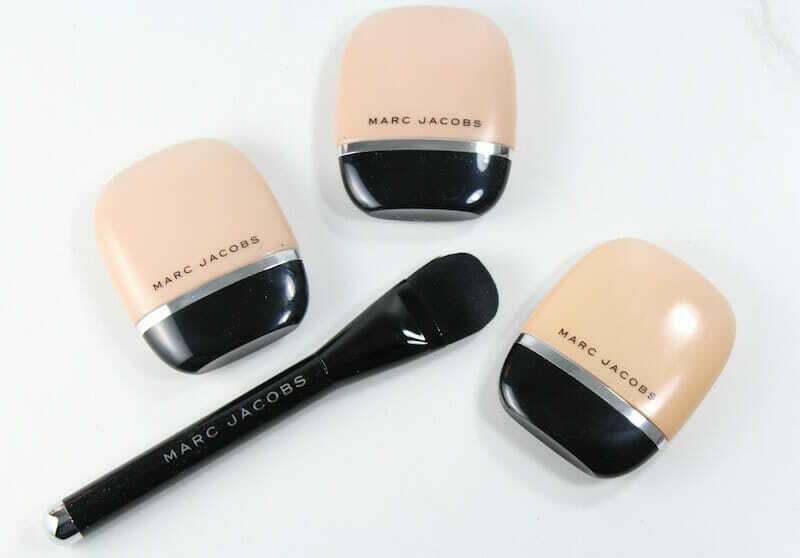 He always creates a buzz, and has again with the release of Marc Jacobs Beauty Shameless Youthful-Look 24H Foundation. With foundation releases being put under the microscope since the launch of Fenty Beauty, how does this new one stack up? 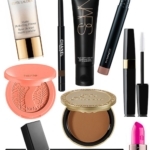 Marc Jacobs Beauty is one of my favorite makeup lines. Beautiful, high quality products with stunning packaging…it’s a lovely line. So I was curious about the release of a new foundation. Shameless foundation is based on the premise of being who you are; this is a foundation that breathes and has a natural look and feel to it. I was sent three shades of Shameless Youthful-Look 24H Foundation to preview: from left to right: R300 (light medium with toasted beige undertones), R310 (light medium with pink undertones) and Y320 (light medium with yellow undertones). I could only pick from a photo, so I really didn’t have any idea of what would be a close match or not. 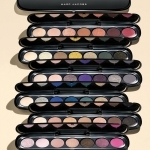 I’m light-medium, brunette with blue eyes and neutral undertones, which aren’t offered in this range. How close to my skin tone could I get? It turns out, pretty close. 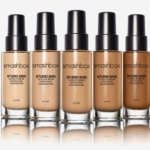 Shameless Youthful-Look 24H Foundation comes in 29 shades, in fair, light, medium, tan and dark families. Within those groupings, you choose Y (yellow undertones) or R (red undertones). I am a neutral, so I tried both warm and cool shades, with warm [Y320, above] being the best match. 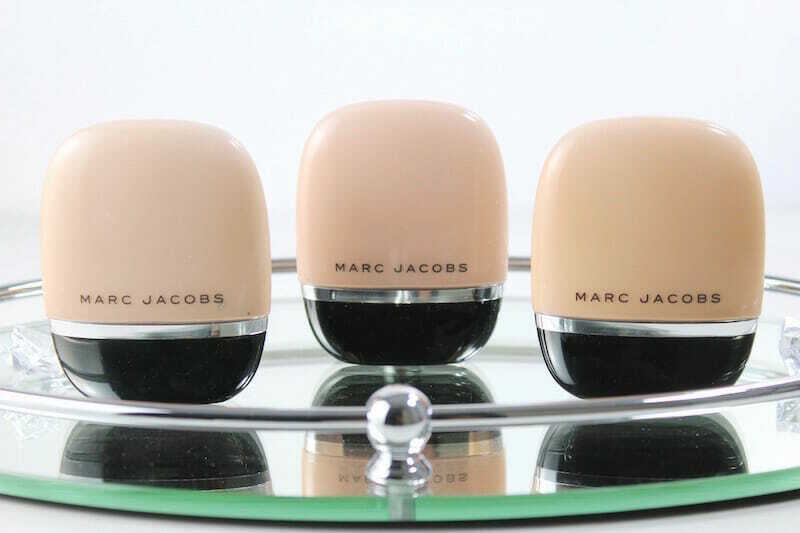 For testing, I started by applying Marc Jacobs Under(cover) Perfecting Coconut Face Primer. 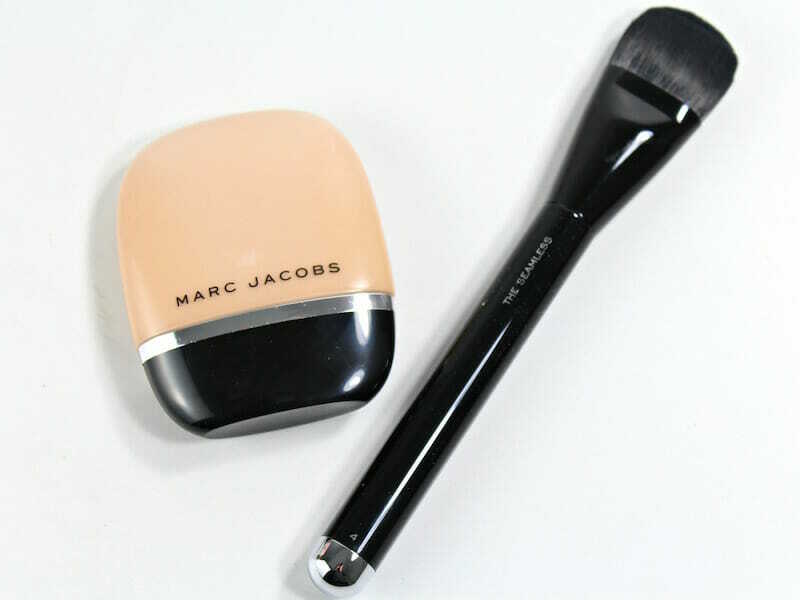 Although you can use your fingers or a sponge, I used the Seamless Liquid Foundation Brush No. 4. It’s a flat foundation brush with synthetic bristles that allows you to work the foundation into skin flawlessly. There are a lot of positives when it comes to Shameless Foundation. I like the natural, weightless feel on my skin–really nice! 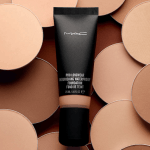 Then there’s the buildable, breatheable, self-setting medium coverage and the fact that there is no transferring or oxidation. I don’t wear heavy or full coverage foundation, so I love the feel and finish of Shameless. It’s oil-free and can be worn by all skin types. The bottle is chic and slim, easy to toss in a handbag. The Shameless foundation skin-loving formula is hydrating, and also boasts a “first-ever flashback-free SPF”, meaning it’s invisible, especially in photos. That’s a nice quality to have, but not something I would choose a foundation based on. Although it’s boasts 24 hour coverage, that’s also not something that would apply to me, since I never wear makeup overnight. 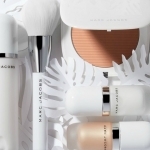 Marc Jacobs Beauty Shameless Youthful-Look 24H Foundation is available now ($46) at Sephora and MarcJacobsBeauty.com. 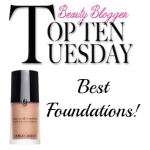 Overall, this is an excellent foundation and one I’ll keep using.